People who are afraid of going to the dentist for treatment usually feel the dread because of the common perception that the dentist’s methods are invasive and therefore painful. Tooth extraction and tooth drilling are 2 of the most common treatments perceived to be invasive and painful. If you are one of these people who find visiting the dental clinic as dreadful but in your heart you know that your teeth require the caring touch of a dentist, then this article is good news for you particularly if your teeth need more than dental flossing and cleaning. A research done by Australian experts in the University of Sydney shows that treatment for a decaying tooth should often not involve drilling and extraction. The reversing, preventing, and stopping of dental decay should not normally resort to the commonly applied “drill and fill” method of treatment. The study, which took 7 years to conduct, extrapolated that tooth decay is not a rapidly advancing progression. Traditionally, dentists believed that they need to put a halt to a progressing dental decay by spotting its initial signs, and then removing the decay early on. This process is normally performed through drilling the area of decay and stuffing the resulting hole with dental filling. For a long time it was believed that tooth decay was a rapidly progressive phenomenon and the best way to manage it was to identify early decay and remove it immediately in order to prevent a tooth surface from breaking up into cavities. Prof. Evens judges that this research provides the springboard to shift the focus of dentistry practitioners in the way they treat and manage tooth decay. … it takes an average of four to eight years for decay to progress from the tooth’s outer layer (enamel) to the inner layer (dentine). That is plenty of time for the decay to be detected and treated before it becomes a cavity and requires a filling. From the spot-drill-and-fill mentality, dentists should now focus on developing a set of less invasive protocols which should entail a series of decay risk assessments, analysis of tests (such as dental X-rays), and treatments custom-specific to the stage of the condition. Such protocols are enclosed on what the researchers now call as the Caries Management System (or CMS). So how should dentists apply this no-aggressive-drilling approach to their patients? 4. Monitoring the risks of further decay with specific consideration to the patient’s oral habits and conditions. 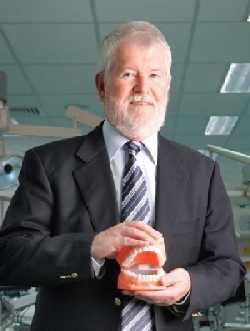 Prof. Evans and his team of researchers were able to prove that CMS was effective when they tested it out on their patients whose tooth decays were reduced to 30% to 50%, as compared to those patients in the controlled group who did not undergo the same protocols. Of course, as with any treatment of medicine, the process is a patient-doctor partnership. Evans opines that CMS needs the careful cooperation of the patient for the treatment to be successful.